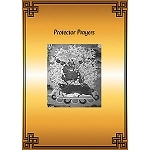 The translations of the prayers in this Daily Ser-kyem Practice to Pälden Lhamo have been taken from various sources and translators. Ser-kyem, a Libation Offering was translated by Gelong Thubten Tsultrim (George Churinoff) with the kind assistance of Venerable Geshe Jampa Gyatso at Istituto Lama Tzong Khapa, Pomaia, Italy, 14 April 1992. 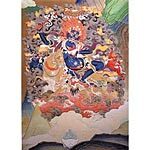 The Praise to Pälden Lhamo: Requesting the Four Activities was taken from an English translation of a longer Pälden Lhamo practice puja; it is thought that the translator of that text is Hermes Brandt, but it is unclear. 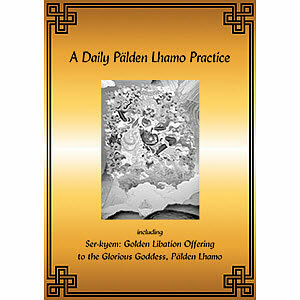 This Pälden Lhamo practice was lightly edited and compiled originally for use by the staff of the FPMT International Office in their daily practice of a ser-kyem offering to the glorious Pälden Lhamo by Ven. Constance Miller in January 1997 according to the instructions of Lama Zopa Rinpoche. 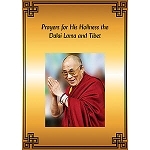 It was lightly revised for inclusion in the FPMT Prayer Book in January 1999. Newest revised edition, October 2001. Note: An email will be sent after purchasing this product which allows you to download the title in the three formats ofmobi, epub and PDF. For an explanation of eBook formats and how they work, click here.